Your text is your message. That's why text is an integral part of VideoMakerFX. Fully Customize to your desires and deliver the message loud and clear. Beautiful Backgrounds & Instant Scenes. Simple and easy background customization. Beautiful backgrounds greatly enhance just about any video or presentation. You can match your branding & style instantly! All our scenes have beautiful and seamless animation built in. You can apply additional animated backgrounds and call to action animations! Customize the text or elements you want to keep or turn off. There are so many unique possibilities to making all kinds of different videos! Included & of course you can use your own audio. Did we mention you can record right in the software? Supports up to 2 tracks. Use your own images and video clips. A full royalty free grapics library is also included in addition to our backgrounds collection. Customize it all however you want! 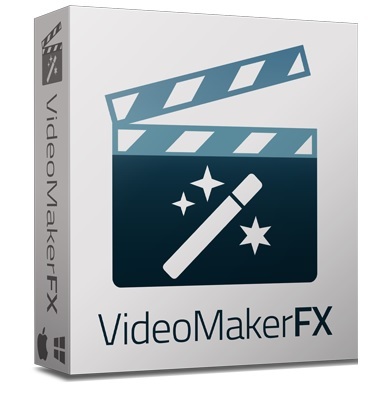 - Apple MacOS system that was built in the past 5 years will work great for VideoMakerFX. Older computers will work, but rendering and previewing your videos might be slower.